We Milwaukeeans love hosting out-of-towners almost as much as we enjoy taking the time to “Milwaukeesplain” all of our local quirks. Here is a handy guide for helping visitors to make their way in Beertown. The Bloody Mary beer chaser is a distinctly Midwestern tradition. You can find all kinds of reasoning behind it, but outsiders might be confused as to why you would want to “chase” the flavor of something as tasty as a well-made Bloody. Try to obfuscate, but if pressed, you can admit that it is just another excuse to drink beer before noon. A Cafe Hollander bloody Mary with a beer chaser; photo by Matthew Prigge. The cannibal sandwich, an appetizer of raw hamburger served with onions on bread, is about as old-school of a treat as you’ll find in the area. Despite numerous warnings about the health risks of eating uncooked meat (it could, in rare cases, kill you), this dish with the horror-show name remains very popular in certain pockets of the city. People who swear by the treat insist that as long as you have a good butcher you can avoid getting sick. The answer to the question above, accordingly, would be that people here trust their butchers more than doctors. Even long-time Milwaukee residents have trouble with this one. 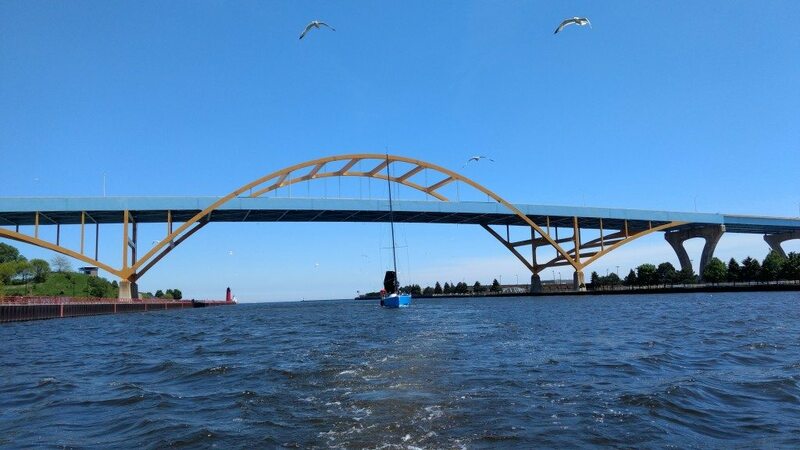 But it’s pretty simple: Take the exit for the Port of Milwaukee. You get to a stop sign and again follow the signs for the Port. Then take an immediate right turn… no, there’s no sign… and ride that as it bends… well, yeah, there will be signs that just have a smiley face on them, but none for Bay View… it’s for the Festival Park… oh, lord no, if you took this way to get to the Festival Park, you’re already lost… so, ride that bend and you pass a dog park and get into another bend… or you can go straight until you see this old factory. Now in the second bend… or wait… no, turn at the factory… Ok, try this instead: get on Water Street, head south, and don’t turn until you hit Bay View. The Miller Park tailgate is a precise formula that many outsiders do not understand. For an evening game, the parking lot will open around 4 p.m., meaning that the beer bath for the brats should be started no later than 3 and the first beer should be cracked no later than 2:30. The grill should be ready to go by 4:30 to ensure that everyone in your party can be fed by a quarter past 5. Adhering to this strict schedule will ensure that you can be in your seats promptly at 8, just in time for the start of the third inning. Photo by Scott Paulus/Milwaukee Brewers. Well… a couple of years ago… Ugh, nevermind. Want to see the Fonzie statue?